It's all about the classics with Gottex's latest collection. The Amber is a revival of one particular decade, the 1920s. The loose and relaxed fit gives it a certain flapper girl aesthetic that is helped by the string of pearls that form the fish scale pattern on the body. 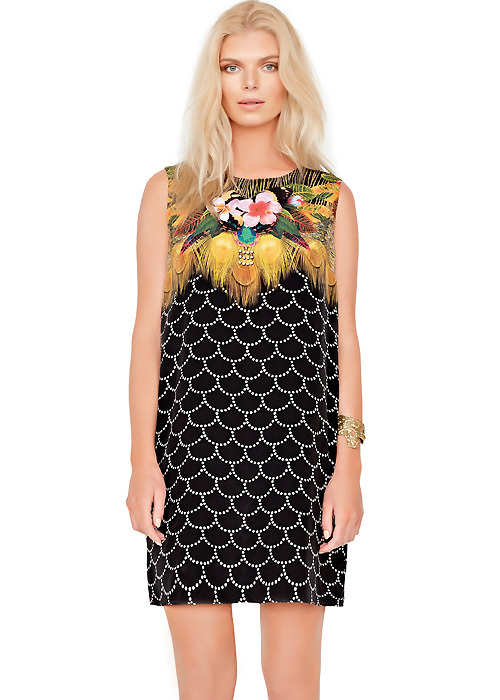 Not only is the body a classic, but with a peacock-inspired and jungle print shoulder, it is also a colourful one too. A brilliant and stunning design.